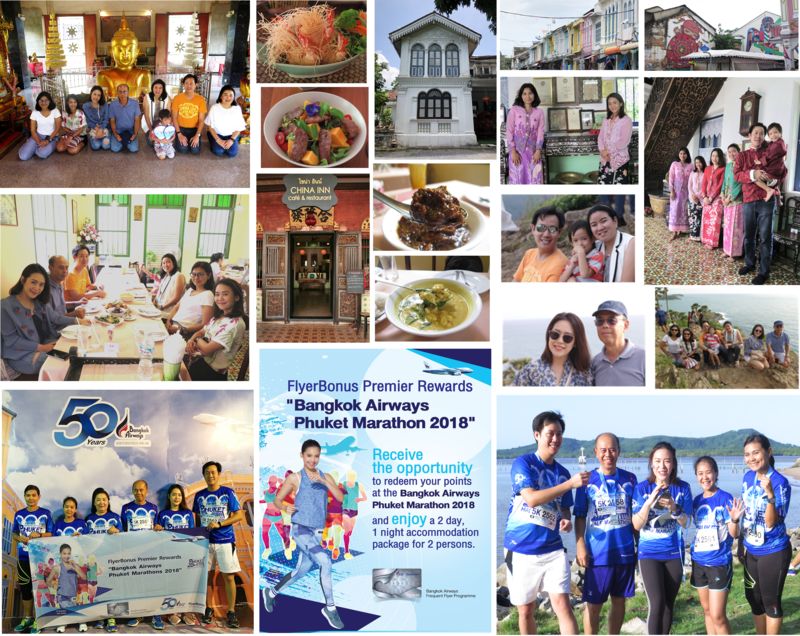 FlyerBonus, Bangkok Airways’ Frequent Flyer Programme, recently organised an exclusive trip for Premier Members and companions to join the Bangkok Airways Boutique Series Phuket Half Marathon 2018 between 4-5 August. With a dramatic backdrop of mountainous rain forest and the Andaman Sea, the route around Phuket’s Old Town couldn’t have been more appealing. Throughout the event, runners were consistently enthralled by beautiful Sino-Portuguese architecture that reflects the European influence on the island dating back to the 16th century. The 2 day, 1 night experience afforded Premier Members and companions the opportunity to view a beautiful sunset at Promthep Cape as well as visit Chinpracha House, one of many examples of beautiful Sino Portuguese mansions in Phuket. Of course, delicious local dishes at several popular eateries were enjoyed along the way. Two standouts were Raya Restaurant with its authentic Phuket cuisine and secret garden dining at the China Inn Cafe & Restaurant, a restored, Sino-Portuguese style building located in the heart of Phuket’s old town serving an eclectic array of western-influenced dishes.